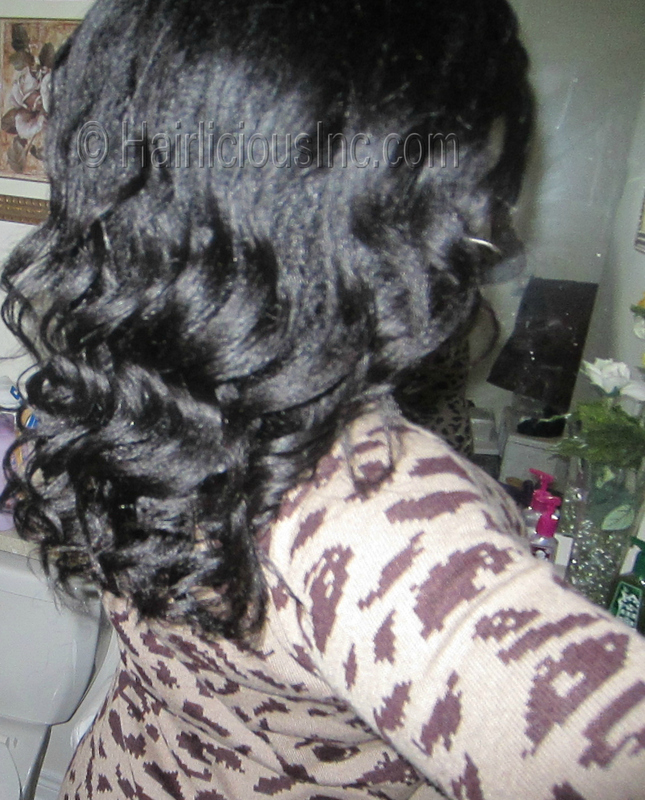 Flexi Rods On Air Dried Hair - Hairlicious Inc.
Have you tried Flexi-rods? If so, what's your method? Flexi-rods on air dried hair has been my chosen style for a few months now. I've been doing Tressbuzz's method. Two rods in the front and one in the back. They start off really curly in the morning, but by mid-afternoon they look like a more "beach waved" kind of look. Your hair came out really great! My first two attempts were a fail when I did it on damp hair. My third attempt was on dried just relaxed hair. I'm gonna try again soon using your method because I think I lose hair when it's done on my damp hair. Very pretty! ...and with only 2 flexirods, wow. this is gorgeous! i can't wait to see the details on how you did it. Which size rod did you use? You used only two flexi rods for that hairstyle?? It looks like you used at least 4 but it looks great! What size did you use for this style? I have the 3/4" and the 1/3" flexi rods. @Anonymous- Thanks for the heads up. My hair had that beach wavy look. I liked it but I would really like for the curls to stay. @Melissa- Yes, it's best to do it on either semi dry hair or completely dried hair. I'll do a post on what type of rods I used and how. @Kim- Thank you. Yup, just two stacked on top of each other horizontally. @EbonyCPrincess- Thanks Hun. Yes, I'll do a post on that soon. @The Lovely Ify- Yup just 2. I used the purple ones. I forgot the exact size, but I'll do a post on it. Great job! It came out really pretty. Flexi rods is one of my go to styling option. I do the two stacked on top of each other vertically method. To get them to stay, use a setting foam. It won't make your hair hard (depending on which one you use) and it will add shine and hold. 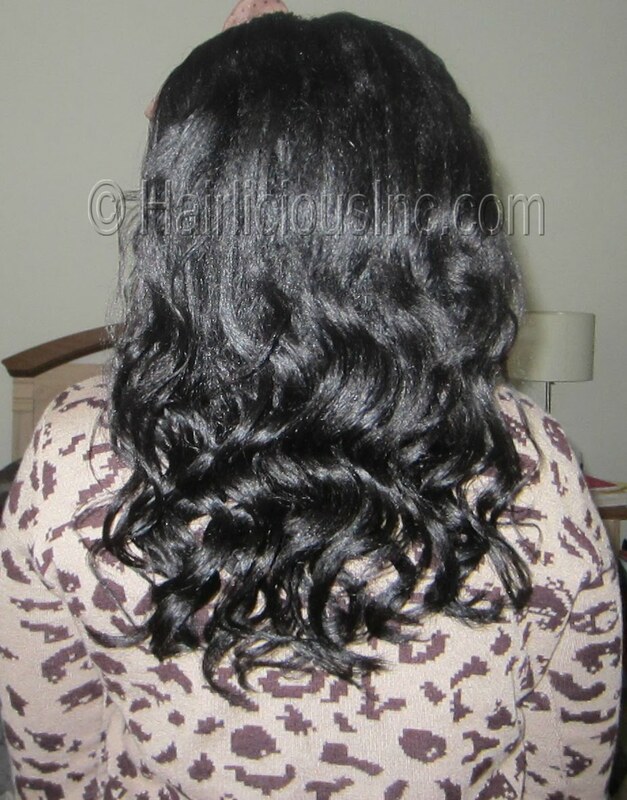 Try CON's argan oil foam, Silk Elements foam, or keracare. HTH! @Anonymous- Thank you for the compliment. That's exactly how I do mine :) it really works. @Jenijen- For some reason I pressed the delete button by accident (darn iPhone). Your comment is supposed to be here but it was my mistake. Thanks for the compliment though :). @Age in ATL- Thanks for the tip! Heading over to the BSS this week !!! Omg!!! Your hair is unreal. So beautiful. Pretty Hair. Silly question here, what are flexi rods? Thank you. Not a silly question at all. 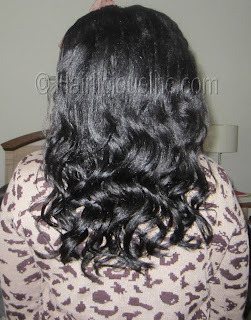 They are flexible colorful rods that you put in your hair to achieve curly styles. Sunshyne your hair turned out great.... 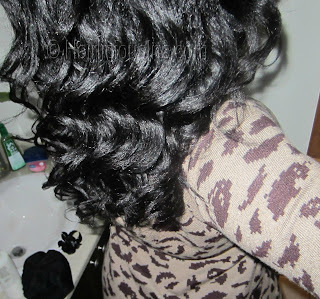 I've been doin the flexi rods on dry hair for quite sometime and love the results. Can't wait for your tutorial on the flexi rods HHJ!!!! Wow you're hair is really beautiful. That length is amazing. I'd like to protect my hair with low manipulation styles but I'm scared that a pony tail may cause breakage right where the the hair meets the band OR that a bun will cause breakage right where the hair is tucked back under the hair tie.Do you have any suggestions? I'm ready to give flexirods another try. I am also looking forward to a tutorial. @kamen- you will not get breakage from protective styling in buns if you use satin ponytail holders or you make sure your hair is not tight and it's moist. I use them all the time and they work great. No breakage. I'll post pics. @Anonymous - thank you very much!! You're hair is beautiful!Do you plan on growing your hair longer than MBL someday? It's a beautiful hair. It's very gorgeous, it's not that very complicated (I think so.) I hope I could try it too. It's a hairdo for any occasion. Do you start at the ends or at the roots? I don't imagine my ends staying tucked in this way, but I want to try this because that style is gorgeous!